One of Nike's most successful tennis models in recent time drops in a vibrant "Atomic Red" colorway. Designed by Tinker Hatfield for Roger Federer, the innovative Zoom Vapor 9 Tour sports "Atomic Red" throughout most of their lightweight mesh upper. Grey hits the overlaying areas and outsole, while white handles the Swoosh logos and minimal branding throughout. 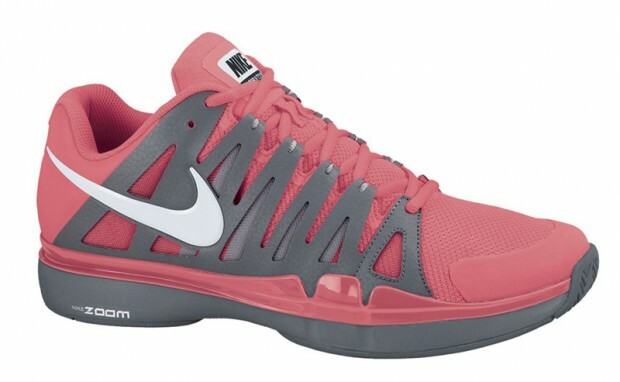 The "Atomic Red" Nike Zoom Vapor 9 Tour is now available for purchase from NikeStore.